We only very recently learned that Steve Jobs, Apple’s co-founder and CEO for the majority of its existence, sought to revolutionize the consumer electronics market in three key areas. 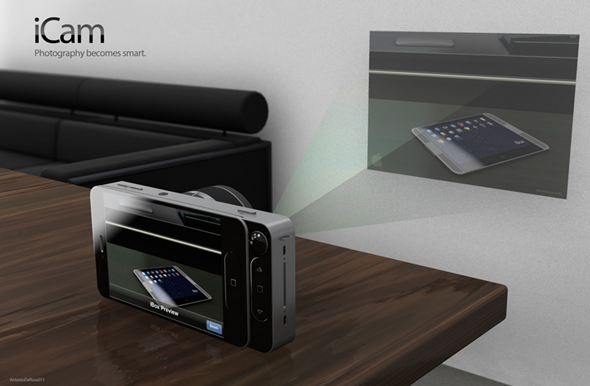 TV was the first, with Siri integration hotly-rumored to be an associated act with any future iTV developments. Secondly, he wanted to change the way students and knowledge-seekers searched and read textbooks, with a possibly Newsstand or iBooks-like app. 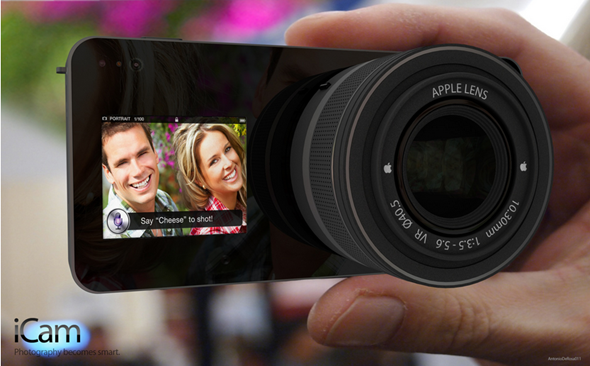 The other key area – something the fruit company has already tapped into somewhat, was the photography industry. Capitalizing on the success of the iPhone’s snapper, he sought to make Apple a truly-recognized option for amateur and professional photographers alike. 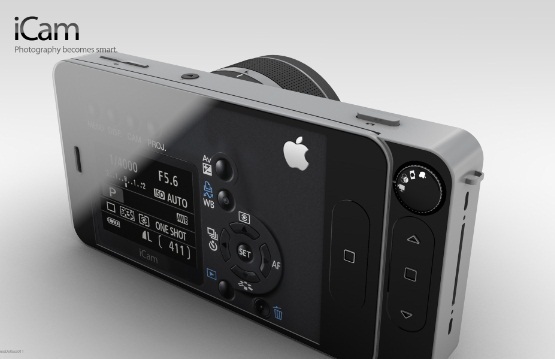 Inevitably, ADR Studios, a design and communications company, has thrown up a concept – based on the purported iPhone 5 specs – of what the Cupertino outfit could have in store if the latter of Jobs’ three wishes were ever to reach fruition. 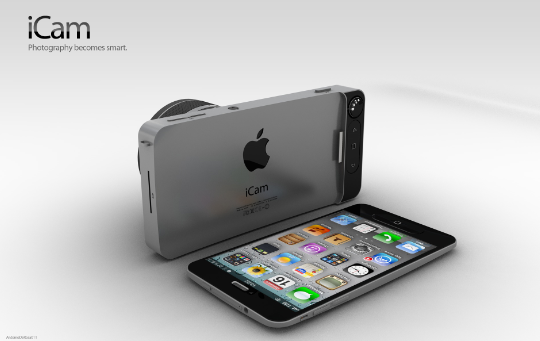 Dubbed the iCam, it takes into consideration those iPhone 5 features we thought (and still hope) will eventually materialize, and plays on the idea of Apple releasing a separate peripheral to truly bring the next smartphone installment on par with the Nikon and Canon devices heading the market. 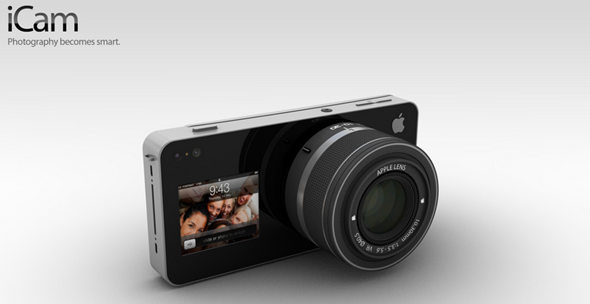 The images look amazing, although would it not be in Apple’s nature to try and emulate a ‘proper’ camera on a smaller scale? While the smooth and sleek design trait of Apple is evident, would the company really go that bulky in order to corner another market? Well, perhaps. 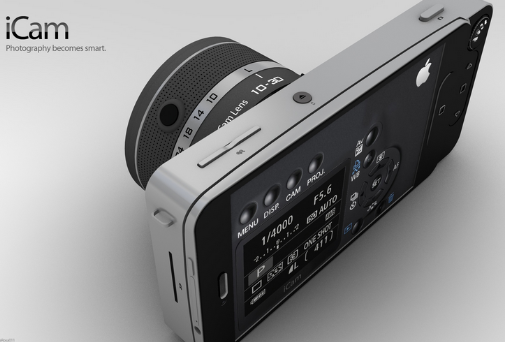 After all, the market leading cameras are bulky because they have to be in order to incorporate the extensive features. One would have thought, though, that Jobs’ vision would have been a lot thinner and less weighty than ADR’s conceptual arrangement. If Apple were indeed to go down the peripheral route and make a detachable camera add-on (which, knowing Apple, would be at the higher-end of the price scale), would you make the purchase over a Nikon?